The final bell rings, the crowd roars, and the two warriors immediately embrace and then raise each other’s hands. This is the part of boxing that typically perplexes non-fans of “The Sweet Science.” How could two athletes who just finished pounding the hell out of each other now demonstrate so much genuine regard, even affection? How can such respect exist between combatants who have just done their utmost to render each other helpless? 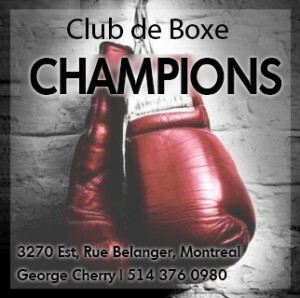 To understand the answer to this question is to grasp one of the most compelling aspects of boxing, the fact that the majority of competitors are not brutal savages seeking to satisfy their thirst for blood or to win at any cost. 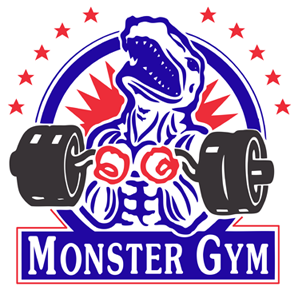 Rather, they are men and women driven to test themselves, striving to be the best they can be, and to achieve victory at the price of their own pain and blood. This demands extreme courage, which is precisely why fighters hold their fellow combatants in high regard. How could you not respect your opponent when they, just like you, are willing to put their life on the line? When they, like you, are among that small group who know what it’s like to set aside their fear and doubt before taking that long walk through the crowd to where the ultimate test awaits? 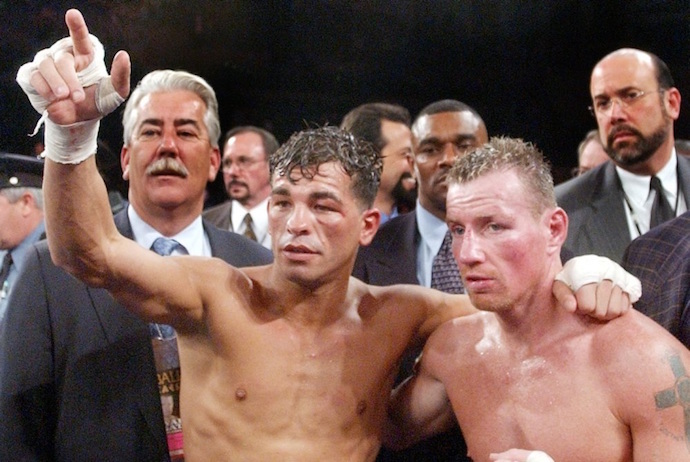 Of course, some fighters do harbor genuine enmity for their opponents, but when it comes to rivals whose fights represent incredible brutality and, at the same time, mutual respect and admiration, there are few better examples than the 30 rounds of combat between “Irish” Micky Ward and Arturo “Thunder” Gatti. Their trilogy took place from May 2002 to June 2003, three glorious and bloody battles that have taken on almost legendary status in the years since. Ironically, when the two fought the first time, they had both seen better days. Gatti’s warrior legacy had been firmly cemented thanks to his dramatic slugfests with Wilson Rodriguez, Gabriel Ruelas, and Ivan Robinson. While those exciting struggles had made Arturo a fan-favorite, they had also taken a physical toll. 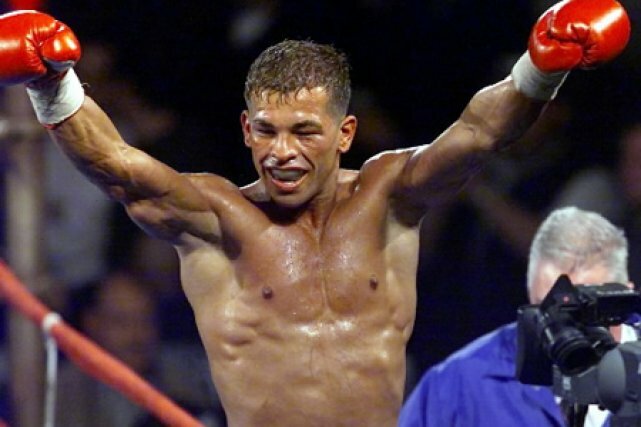 But despite the plethora of hard fights under his belt, Gatti was arguably the fresher of the two. Ward, the pride of Lowell, Massachusetts, had amassed 48 fights, nine more than the Montreal native, including 11 losses. His roller coaster career epitomized that of a journeyman, and while a number of his defeats came against top fighters like Vince Phillips, Zab Judah, and Jesse James Leija, he had also lost to Ricky Meyers and Mike Mungin, unknowns to even die-hard fans. But the two fighters’ combined 16 losses meant absolutely nothing to those eagerly anticipating their clash. 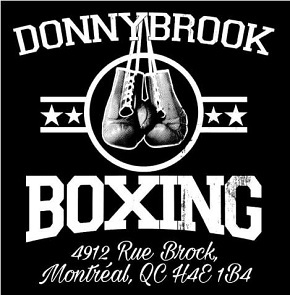 Sometimes boxing fans are lucky enough to witness a match-up for which excitement is virtually guaranteed. When both pugilists have a proven track record of being in exciting fights, you know fireworks are inevitable. And fireworks were produced in amazing volume and with startling brilliance on May 18, 2002, though not from the opening bell. Arturo began the match in boxer mode, moving fluidly with excellent footwork. He fired quick combinations and was landing at will, never letting Ward get set to throw his own shots. With the fight in the center of the ring, Ward’s technical flaws were exposed, his wide power shots only catching air. Gatti’s success continued in round two, with hand and foot speed, as well as punch variety, being the difference. Ward simply could not track Arturo down and land anything of significance. It was clear from the first two rounds that Gatti was the more versatile boxer, possessing the skill to trouble the more limited slugger in Ward. But midway through round three, Micky turned the tide in his favor, thanks to his patented left hook to the liver. He landed it at least six times, each time applying it using the same double hook combination, with the first merely tapping to the head as a distraction, and the second landing with full force to the body. Each landed shot compounded the damage, and Gatti retreated as Ward imposed his will. Then, with 30 seconds to go, the first explosive and prolonged exchange took place, both landing vicious power shots. 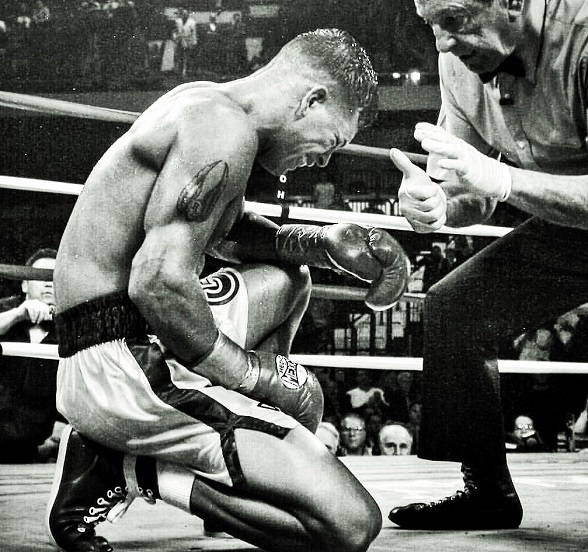 With his movement compromised, Gatti was, as always, up for the challenge of a slugfest. But just as Ward succeeded in backing up his opponent, Gatti then connected with a series of hellacious right hooks to the body, pushing Ward back and earning himself some breathing room. Ward continued his attack in round four, as he followed up a body feint with a hard overhand right that stunned Gatti, who managed to stay upright and later retaliated with his own sharp hooks and uppercuts. With 30 seconds to go, Ward uncharacteristically switched to southpaw, and Gatti immediately seized the opportunity to land a vicious left hook to Ward’s now unprotected right side. The punch landed with such force that Ward dropped to the canvas, banging his gloves against the mat in agony. However, the pain was more a result of the punch’s placement than its force. It had connected below the belt, causing referee Frank Cappucino to deduct a point from Gatti. 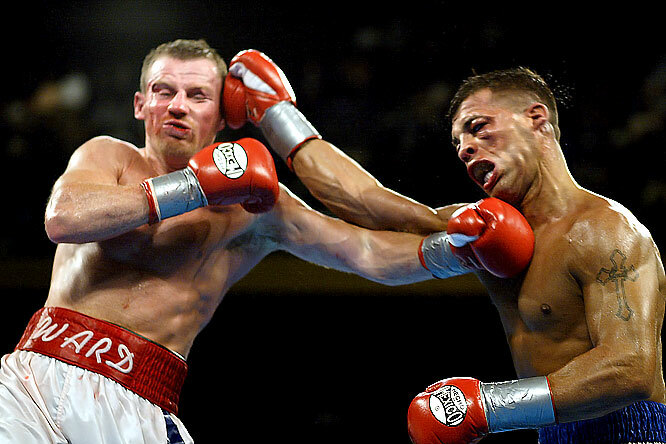 Ward continued to press in round five, forcing Gatti to throw hard punches to keep Micky at bay. Much of the action took place inside, Ward’s preferred location, but Gatti still out-threw and out-landed his opponent. The punches both men absorbed would have undoubtedly felled many other fighters, but these guys weren’t ordinary pugilists when it came to the capacity to absorb punishment and keep firing back. That was evident when, with 20 seconds to go, Gatti unleashed a flurry of shots to Ward’s head and Micky responded the only way he knew how: by taking a deep breath and launching a flurry of his own. 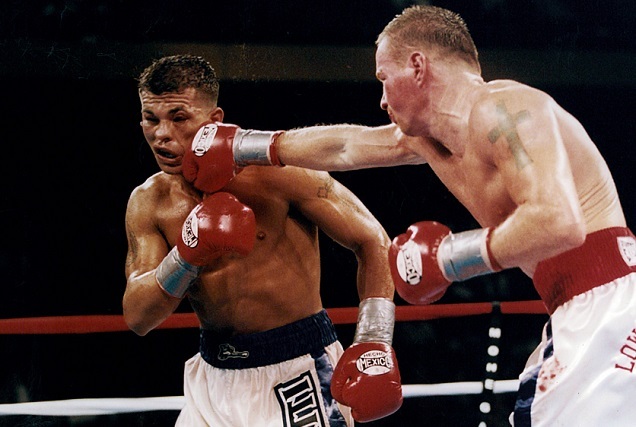 He landed a blistering sequence of short hooks, knocking Gatti’s head around like it were inside a pinball machine. The flurry sent Gatti stumbling into the ropes where Ward continued to pour it on, throwing a bevy of power shots in an attempt to end the contest. But due to his unfathomable determination and otherworldly survival instincts, Arturo stayed on his feet. And in fact, the resilient Gatti managed to bounce back in the next two rounds, returning to his boxing tactics as he again showed good footwork and ring generalship. He avoided Ward’s big punches with upper body and head movement, while landing his own from the outside. But the momentum shifts continued, and with ten seconds to go in round eight, Micky stunned Gatti with a short right, causing him to slowly retreat to the ropes. Ward knew his opponent was hurt and proceeded to land several vicious shots to the head, but thanks to the bell, Gatti survived again. Given the sheer action that was packed into the first eight rounds, it was inconceivable that the level of brutality could be topped. But that is exactly what unfolded in round nine, a three-minute interval of excitement and violence that will live forever in the pantheon of the greatest rounds in the history of boxing. Ward stormed out to continue where he left off, and he landed his double left hook once more, with the second punch digging into Gatti’s liver as if it had been shot out of a cannon. Even the toughest warrior can be hurt, and Gatti was badly damaged by that punch. He staggered backward with his hands down and dropped to his knees but, despite grimacing in agony, Arturo managed to beat the count. Ward put all he had into finishing his tough foe, pummeling Gatti mercilessly around the ring, but “Thunder” wasn’t ready to throw in the towel. Although he had absorbed countless punches during Ward’s onslaught, his indomitable spirit kept him upright. And now, with Ward having gassed himself in search of the knockout, it was Gatti’s turn to seize the momentum. He backed Ward off with some well-placed hooks to the body and then pushed Ward to the ropes, unloading power shots and getting the better of the exchanges. But that caused Gatti to tire, and Ward took advantage by hurting Arturo with another liver shot. Defying human physiological functioning, Ward summoned enough energy to go for the finish once again. Ward ricocheted many punches off of Gatti’s unprotected skull and Arturo was forced to hang on for dear life. Somehow, Gatti found the strength to tie Ward up near the end of the round, and thus survive to the bell. Gatti down in round nine. It’s safe to say that the events of round nine would have diminished or defeated any fighter, no matter how tough. But that’s why Arturo Gatti was so special. He possessed unfathomable resolve and will, his ability to fight through fire and pain matched only by that of Ward. The number of momentum swings in that round was incredible, each man rallying from the brink of defeat when it appeared he had nothing left. In the tenth and final round, Ward continued to stalk, but Gatti was ready, having miraculously recovered from the previous round. He stood in the pocket and ripped hard hooks off of Ward’s head and body, relentlessly walking through stiff shots from Ward and returning fire. With 20 seconds to go, both fighters summoned the energy to empty their tanks, winging punches in all directions. HBO commentator Larry Merchant perfectly described this writer’s perspective, exclaiming “I am humbled by watching these two guys take the punishment they are taking.” With both fighters exhausted, they fell into each other’s arms at the sound of the final bell. There couldn’t have been a more fitting end to the first chapter in such a storied rivalry. Both gallant warriors gave every ounce of their strength and with both still standing at the end, a hug of respect was the only natural reaction. It is exactly that kind of human element that is often underappreciated in such a brutal sport. Yes, Ward and Gatti severely damaged each other in their pursuit of victory. But at the end of it all, they hugged it out like they were best friends. And over the course of their trilogy, that’s exactly what they would become. Thanks! Great comparison with those MMA fights, wars at the highest level but fought with mutual respect as well! Ward would end up managing Gatti for one fight….shades of Apollo Creed managing Rocky. Good point! Hard not to develop a close bond when you put each other through hell and make it out the other side.